Photos galore.....If you have some of your own feel free to add. 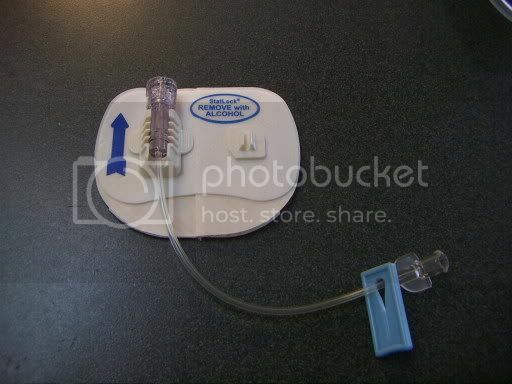 Here is an example of a "Hep lock". 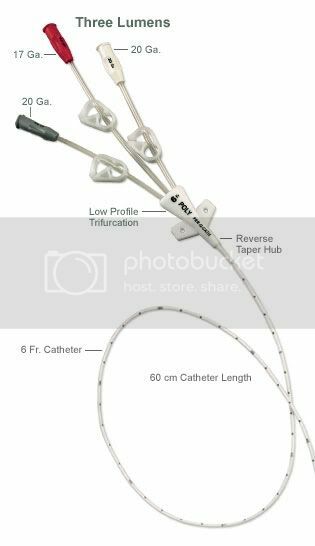 It's an IV catheter w/a small extension set that is flushed and capped off for later use, an IV left temporarily in place. 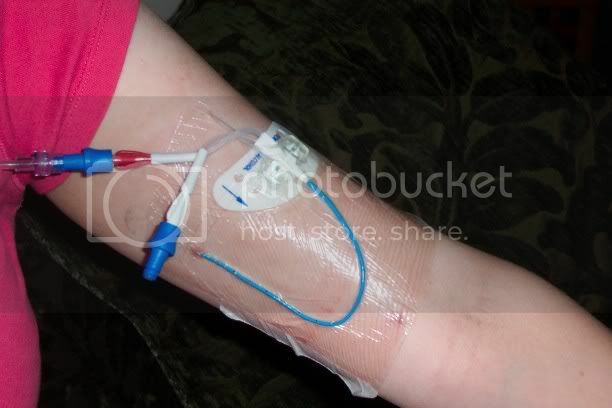 Mine's a little gross (sorry, some blood had flushed back up the line). 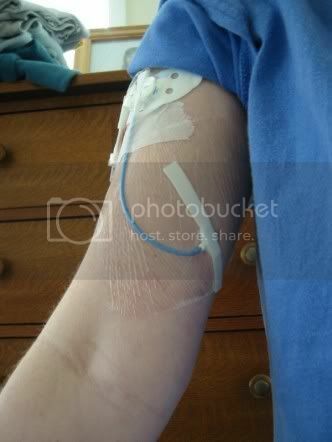 It's in my right elbow. 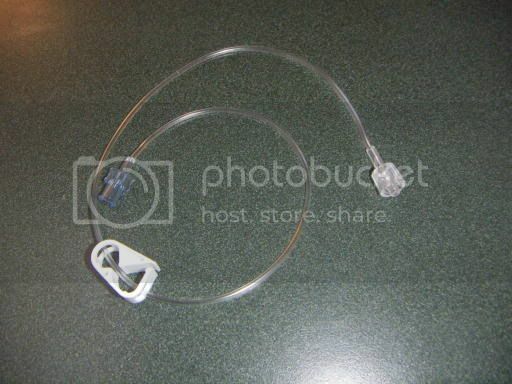 Here's what an NG tube looks like, it's pretty much the same for an adult, this is one that one of my daughters had. 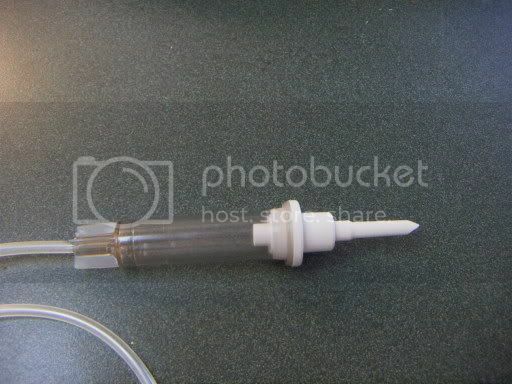 Saline and Heparin flushes (pretty standard) These are the non "needle tip" kind. 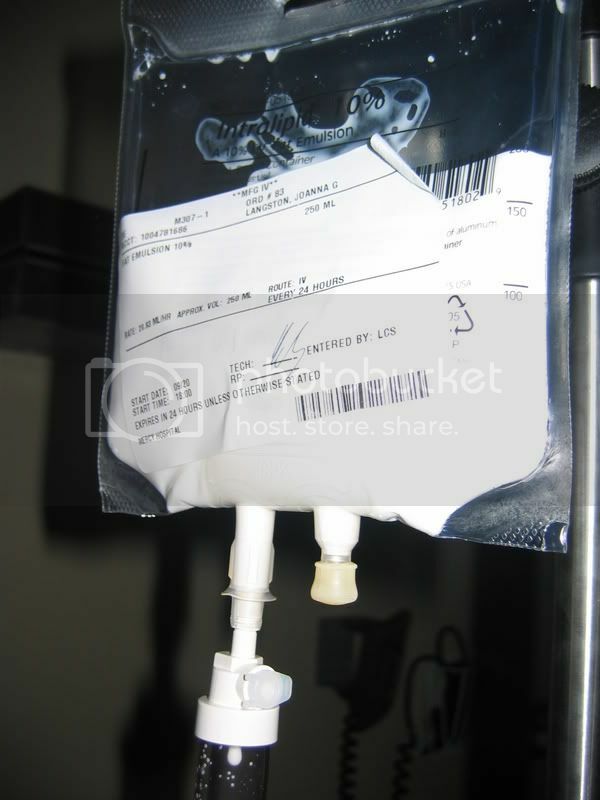 Our friendly IV bag - the blue tip is removed and the IV tubing is connected on that side. 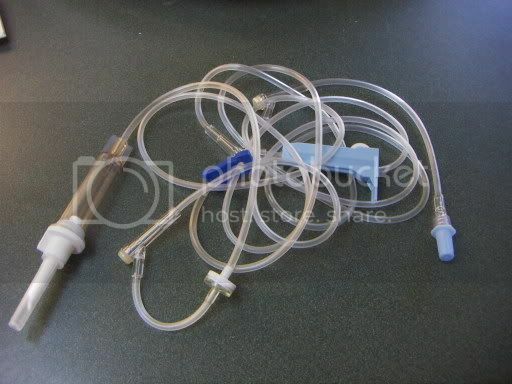 The left "tube" is for needles- ie adding things into your IV bag. 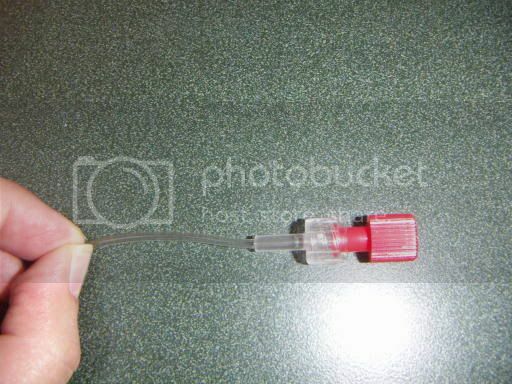 The tips of all these connections are to be kept STERILE at all times, no touching them directly, dragging them along surfaces. 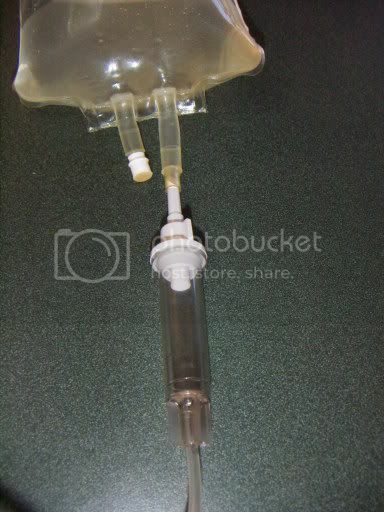 The clamp and regulator of the IV tubing. 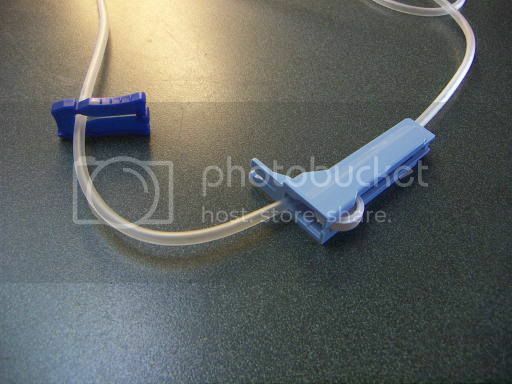 The dark blue you just can use to clamp or stop the IV drip. 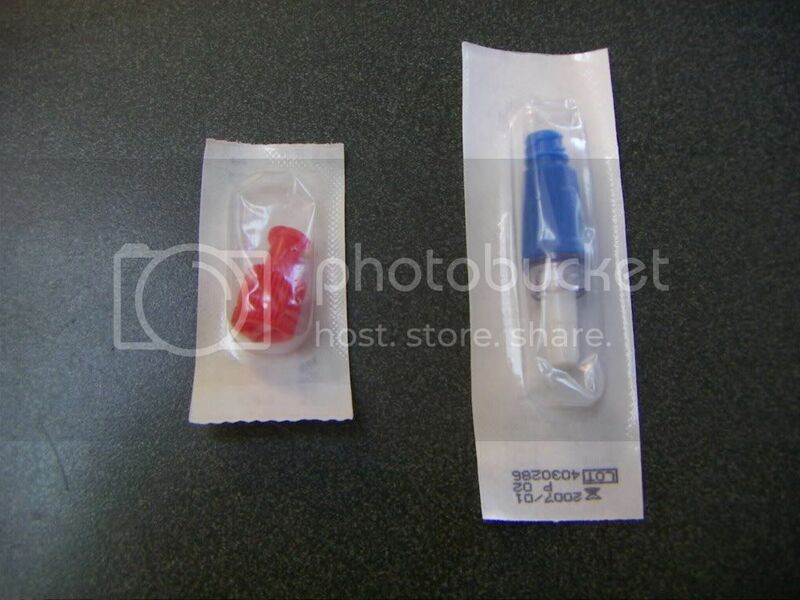 The light blue one you can adjust the flow. 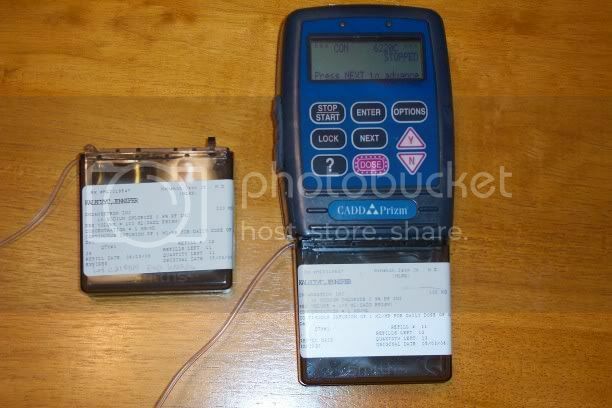 Some regulators look different and actually have guides on them to set the flow (certain ml per hour, etc). 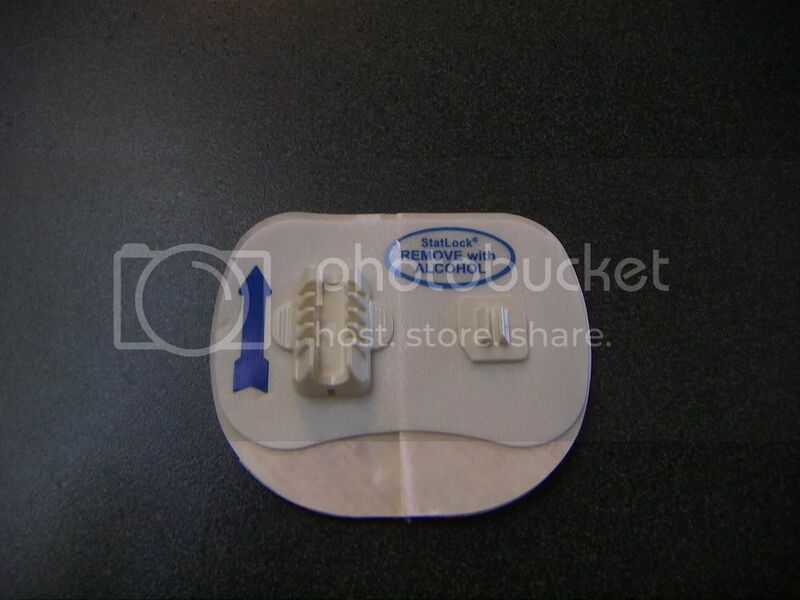 More info on the groshong PICC- great also to understand HOW the basic insertion works. Great illustrations of how it all works inside your arm/vein. Awww, there's my pretty blue Groshong! How does the song go...."memories...like the corner of my mind...." HAHAHAHAHA! I found my PICC! the double lumen! oh how i do not miss you! 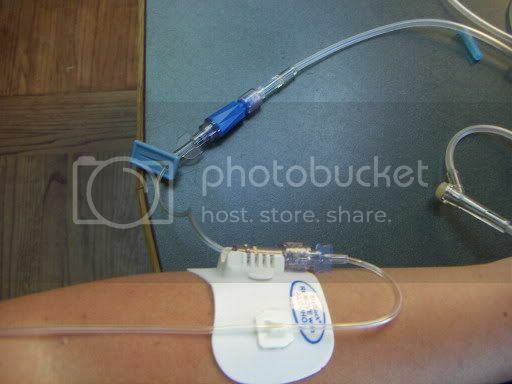 I wish I knew how to post pics....i have a good one of my picc line and the zofran pump being carried around in a white satin bag at my wedding! Too funny! Thank you for the pictures. 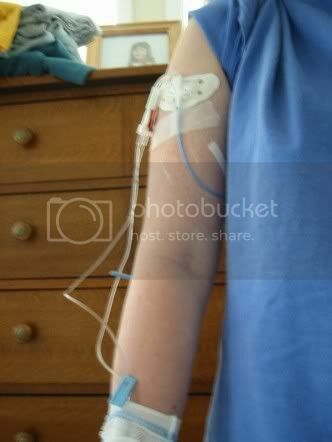 I don't know what I was imagining but those don't look to bad and they stick out far less than my iv. Still not looking forward to having it put in but not worried about living with it. Oh my gosh!!! You guys are so brave!!! I haven't needed those yet and I feel like I shouldn't even be here, let alone complaining like I do. You guys are HG goddesses. Jenny thanks for posting the happy ending picture. SOmetimes you forget that magical moment when they place the baby in your arms. Alright I gotta go now, I'm bawling!!! Thanks guys for posting those!! 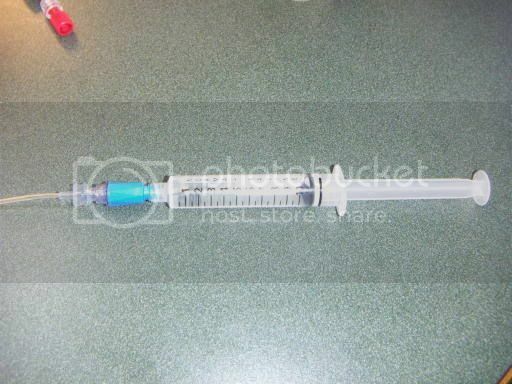 Ok, you guys know how much of a needle weenie I am, and honestly, after seeing those pics, I think if I absolutely had to have a PICC - I could handle it. 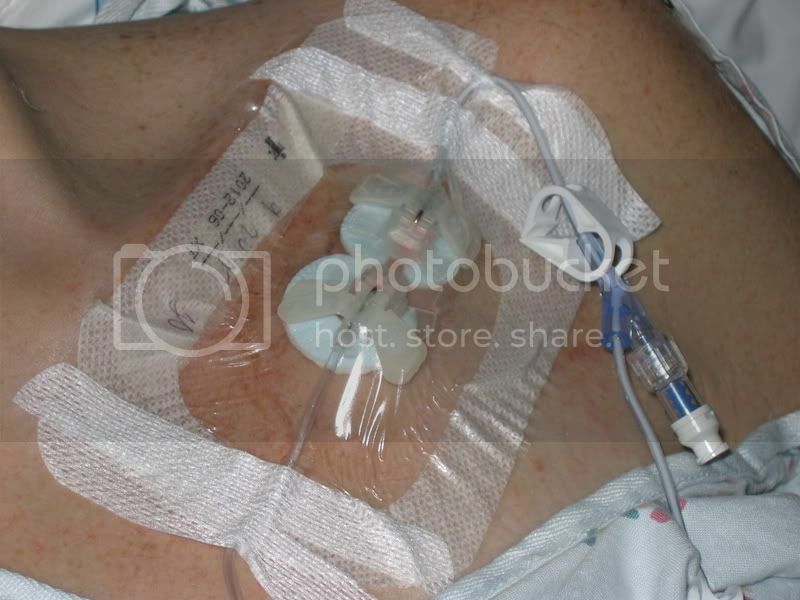 Not for a pg, not now, anyways, but after HG, I wonder if I'll end up sick with something major later on and face all the nausea/vomiting and IV's, PICCS, and anything I missed when I skipped out on worse HG than I had. Really - fantastic pics. Quite an education, and I think so very helpful. I especially like all of the "this goes like this, hooked to this" part - I'm very systimatic, and knowing that it all is just like a puzzle to put together would have helped me cope with all of that tremendously. 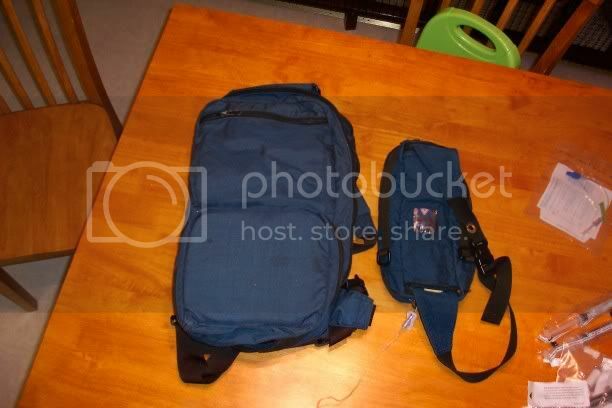 So, someone please help Megs post her wedding photo with the bag for her picc! That would be priceless! Thanks for the photos. You should have a badge of honor around here. I wonder if we could actually do that. Post a pic of yourself with HG, and you get a badge of honor. . . Thanks Teddi! I remember seeing this post a few months ago. It is so helpful. 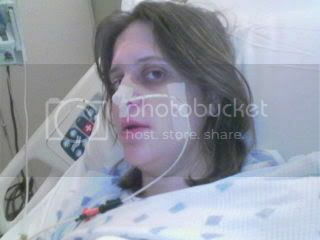 While I had a PICC last time around, that was almost 3 1/2 years ago so it's hard to remember very well. 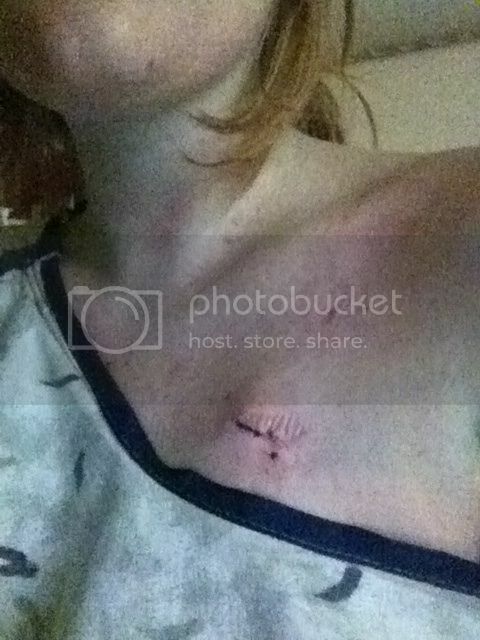 The scar is even almost invisible now! Thanks again. Right under my very nose! Thank you so very much! I think I should have had a PICC. 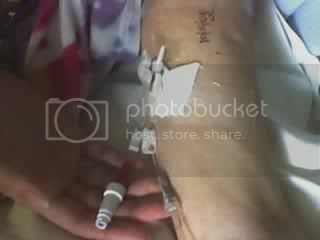 Ugh but in my area I just had to keep going back into the OB ward for 3 to 6 days at a time for IV's I went in about every 3 weeks. 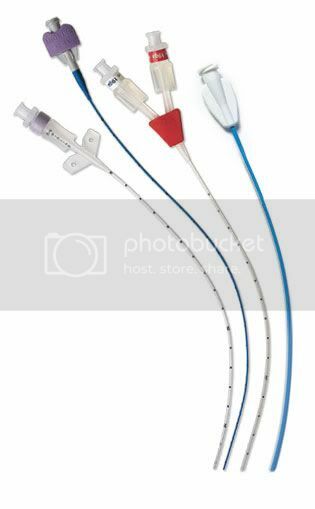 I know ports are not that common, but I thought I would post some pictures if anyone wants to know what it is and what it looks like. 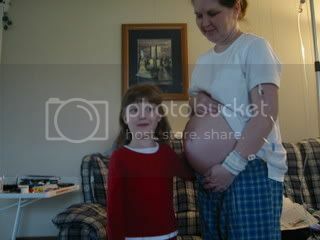 Here's mine from my last pregnancy. 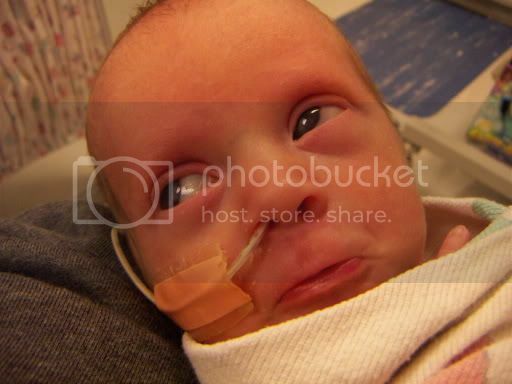 Our how did this happen without needles BFP, EDD 6.15.08 Despite preemptive meds - HG is here. Here's my PICC. 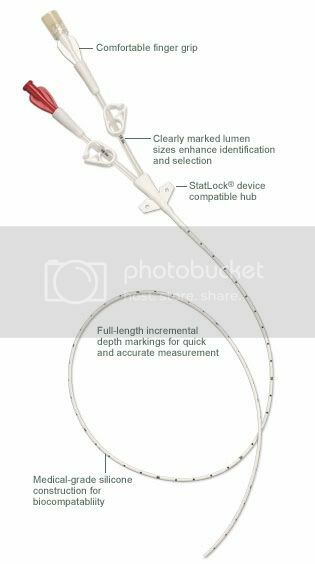 It was a double lumen PICC- see the two tubes trailing down? 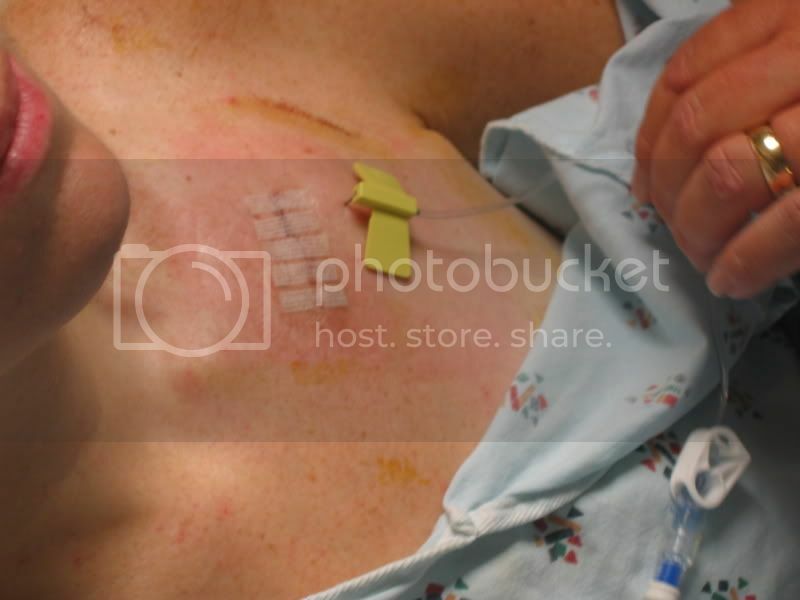 Here's a potential infection- I had yellow drainage under the dressing(sorry no pict of that). This is why we switched it to the other arm. The test results came back ok. 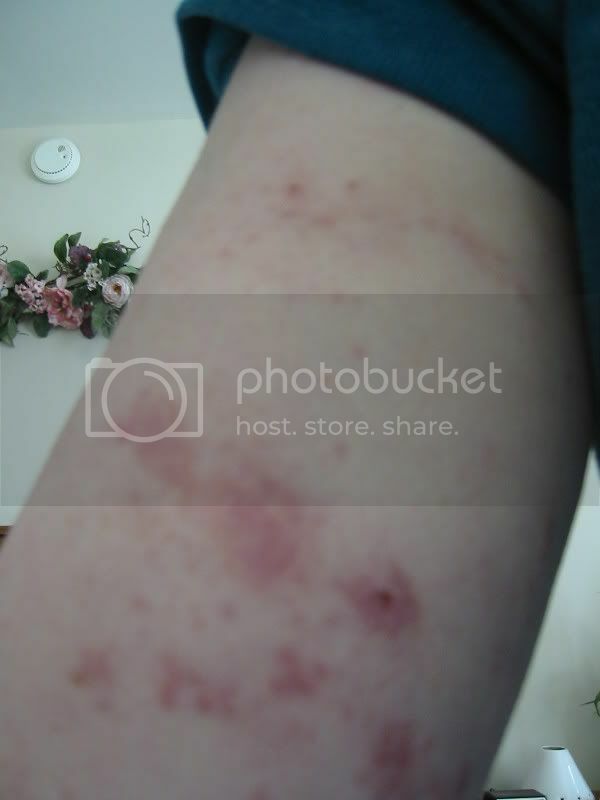 But I discovered the redness was an allergic reaction to chlorhexadine. 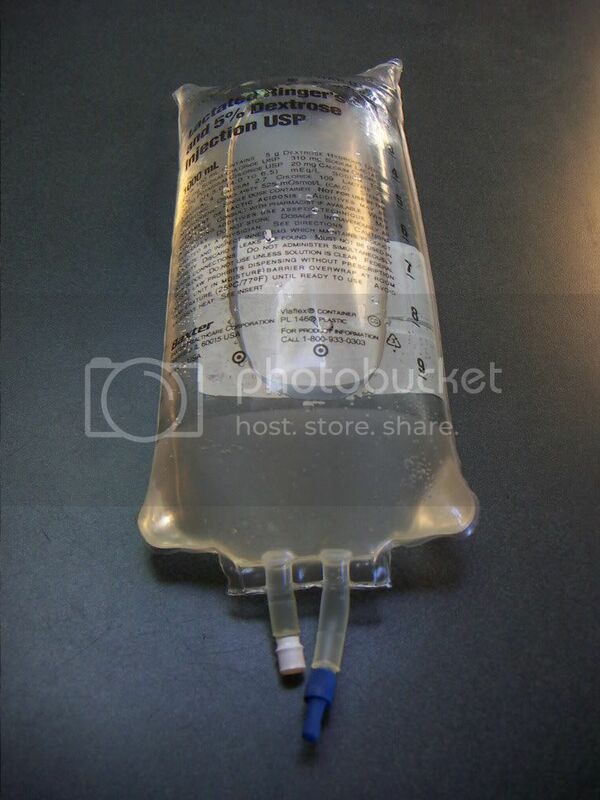 They used this during my sterile dressing changes to clean the area. 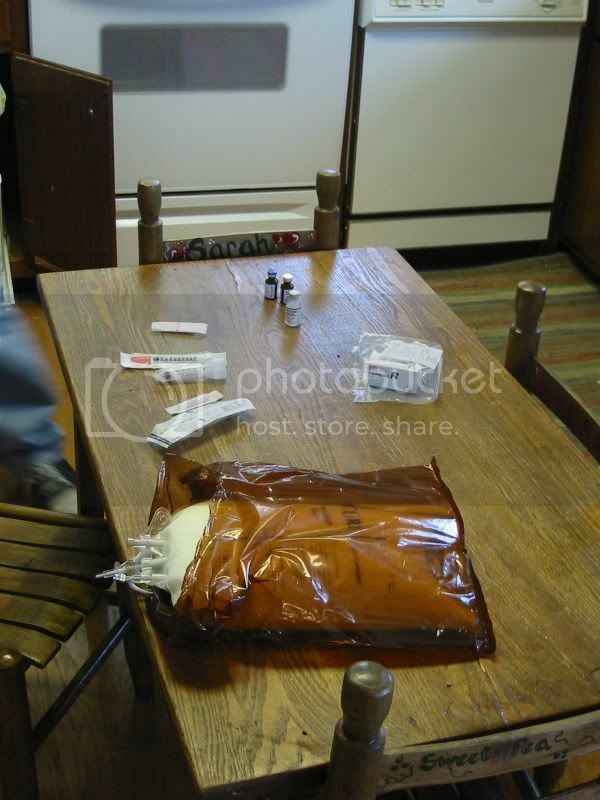 We ended up switching from chlorhexadine/alcohol to iodine and alcohol. Now imagine the worst itching you've ever experienced and multiply it by 10! It was horrible! 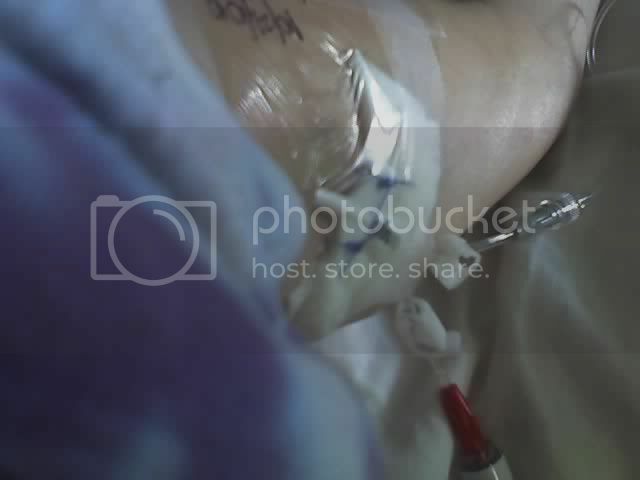 The red dot is where my PICC line went into my arm. 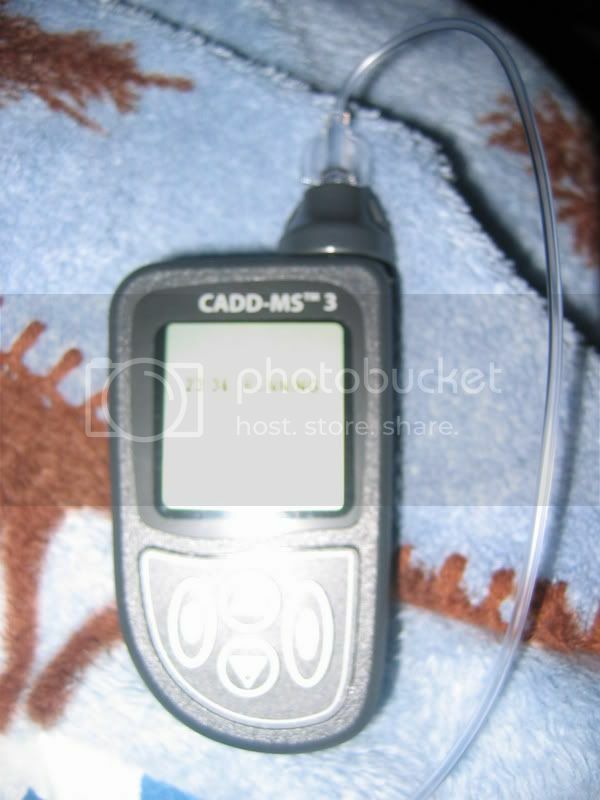 Here are pictures of me with my Zofran pump in the fanny pack. 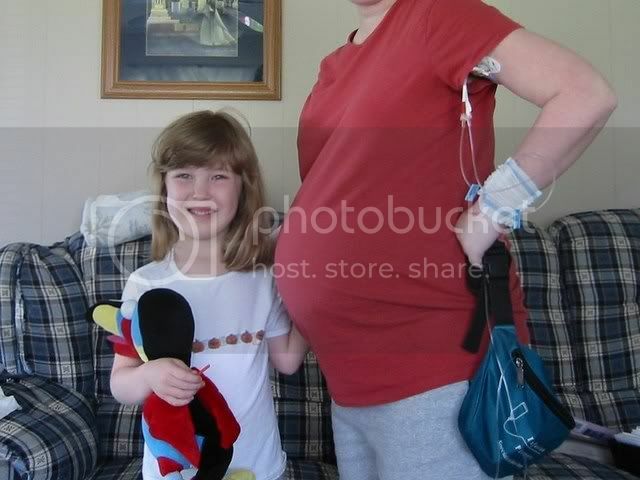 I was 35 wks! Yep we changed arms and I deliberately cut off my face! I looked as bad as I felt. 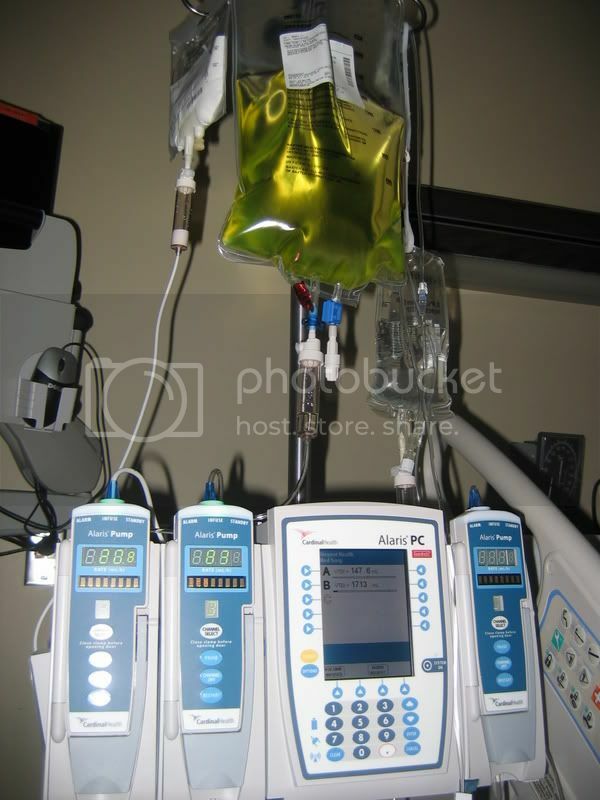 Here is me running IV fluids- see the pole in the corner of the pict? 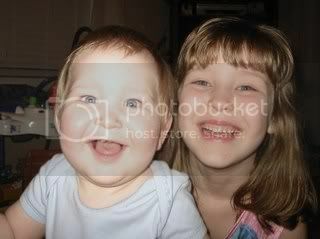 This was taken a few weeks before the above pict. 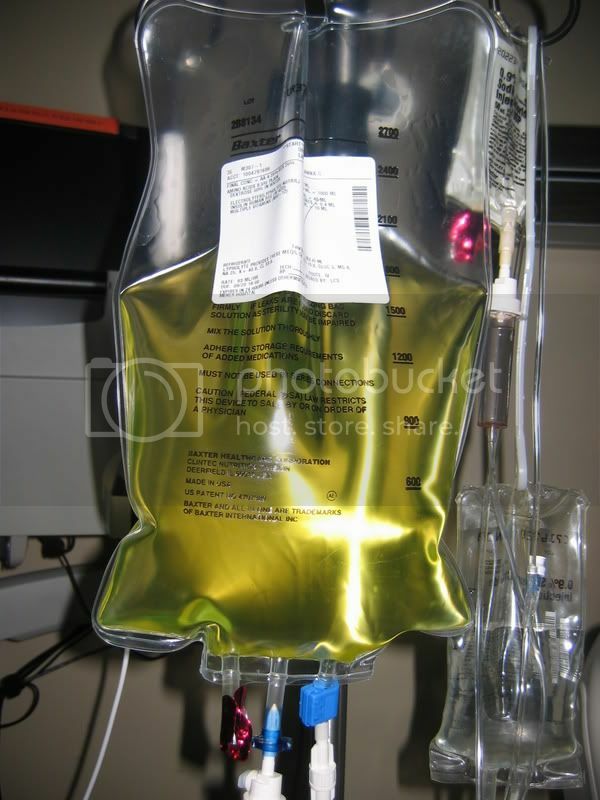 This is my LAST ever bag of TPN, the vitamins, insulin and pepcid that we had to add to it each night. It ran from 6pm until 8am every night. 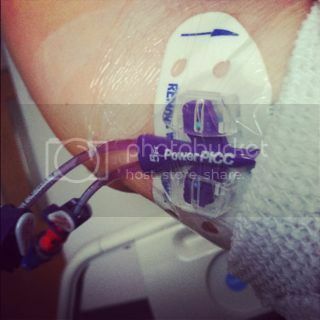 I wanted to add a pic of my PICC. 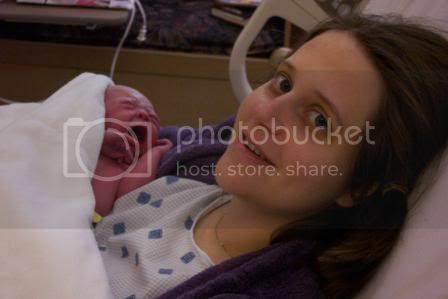 This is shortly after giving birth. 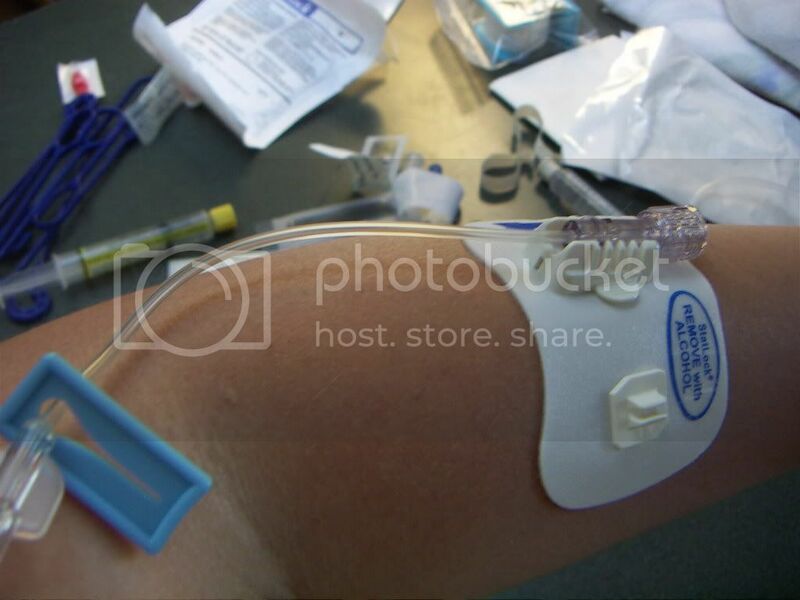 The round thing at the entrance of the PICC into my arm is a antibacterial biopatch. At the edge of the dressing is the statlock mentioned before. This is a double lumen Groshong. 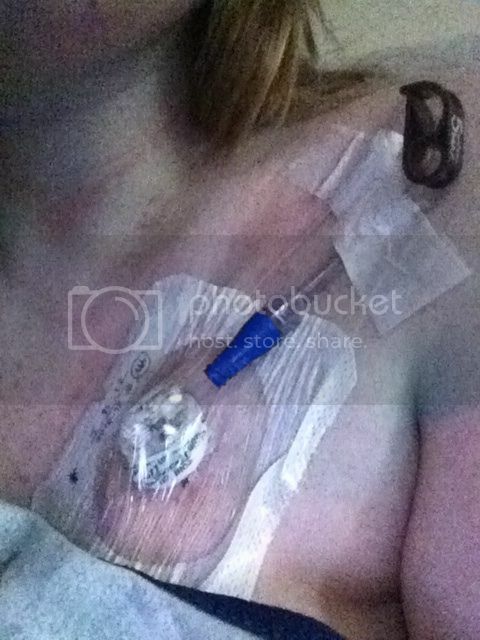 I have TPN going into one lumen and pitocin/morphine PCA/antibiotics/IV fluid going in the other. This is my 6th line. 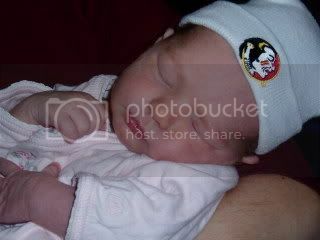 2 broke, 1 clotted, 2 gave me sepsis, the last one lasted me until after Olivia was born. 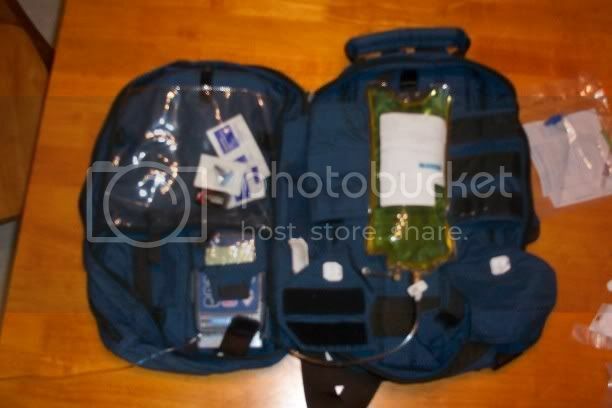 JennRN did you have to have antibiotics to treat the sepsis or how was it dealt with? Is that common with a PICC. My husband has allergies so I hope to avoid ABs with any kids as it can cause allergies. Whatever has to be done though... 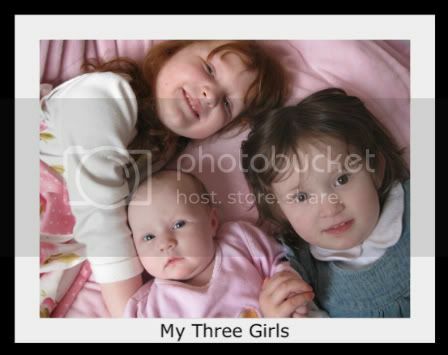 But its so crap when you can't just be ala naturale like other mums have the ability to. since this hasn't been updated in years, i figured it's about time. my power port, not accessed.